Figure 1-25. 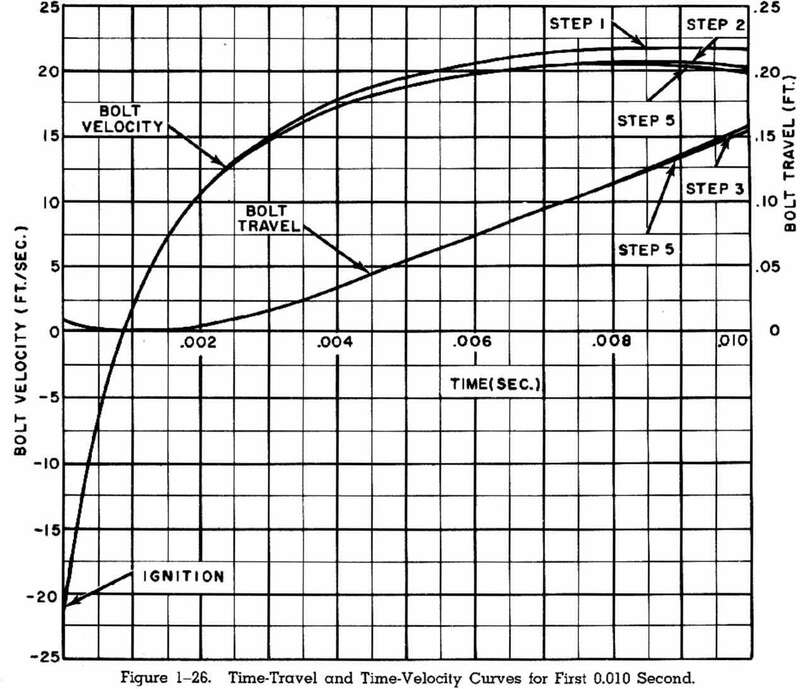 Free Bolt Velocity lor 0.160 Second. Accordingly, the weight of the recoiling parts will be taken as 26 pounds for the remainder of the analvsis. 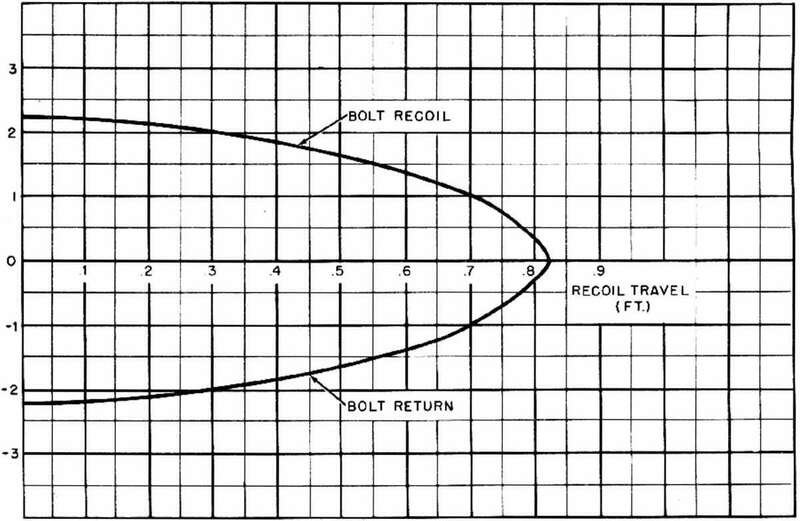 The maximum velocity of free recoil is found in the same way as for plain blowback by using the equation expressing the maximum free recoil momentum to solve for the velocity.